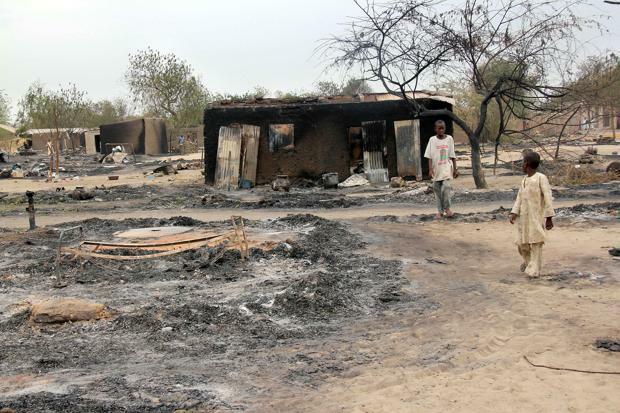 "A survivor hidden in a tree says he watched Boko Haram extremists firebomb huts and heard the screams of children burning to death, among 86 people officials say died in the latest attack by Nigeria's homegrown Islamic extremists." I have no answers to this complex situation. I simply know the violence of our world and the displacement of persons pains me to my core. There is enough food and there are enough resources for vibrant living, if only we can find the means to be different in our world. If all humans could see themselves as part of the larger family of human-persons in the world, on this planet as shared stewards in our generation preparing for the next generation, life would be much better for everyone. I was encouraged to read Pope Francis' admonition that Jews are the "elder brothers" of Christians, as Francis denounced violence done in God's name. Recently, a Christian professor, Larycia Hawkins has been under fire for her solidarity with Muslim women. For my part, I do believe the separate belief systems of Jews, Muslims, Christians are different in ways that can never truncate them to the same belief. And I do believe Buddhism and Hinduism, Sikhism, Jainism, and Zoroastrianism are all unique in quite different ways, too. 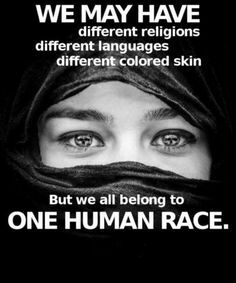 And yet, I do not believe that we who are human are different in ways that should permit violent exclusion and intolerant hatred. All humans have red and white blood cells, neurons and synapses, spleens and spines, hearts and kidneys. Clearly, each of our distinct sets of beliefs within each religious system can not all be correct given the disparities of beliefs among religious traditions. We do believe differently. And yet, I believe we can still see ourselves as shared members within the family of humanity who must steward together the life of everything within Creation.